Engadget for iPhone / iPod touch 2.0.1 was just approved by Apple and is now available on the Apple Store. The big new feature is landscape mode in article, comment, and sharing views, but we’ve also bumped up font sizes, made some improvements to the commenting experience, and added the ability to edit tweets directly in the app. Oh, and you can also now email photos from galleries from within the app, and customize the toolbar. Of course, that’s in addition to regular features like offline viewing, built in streaming for The Engadget Show, and in-app tip submissions — you know, for when you see the iPhone 3GT leak out. Engadget is the definitive source and final word for news on gadgets and technology. From the latest smartphone news, to reviews and hands-on looks at laptops, HDTVs, gaming, and more, Engadget brings you all the tech news you need. The iPhone app delivers that experience straight to your iPhone or iPod touch, instantly. at least Mac OS X 10.5 when running on Apple computers. “We believe a Mac OS X 10.5 minimum will allow us to provide the best experience possible to our users,” Mozilla Mac programmer Josh Aas said Tuesday in a mailing list announcement. Firefox is built on a browser engine called Gecko, and the upcoming version 1.9.3 will have technology for Mac OS X 10.4 and before removed, he said. IBM announced today that it’s bringing data de-duplication to its mainframes through an upgraded gateway appliance that has the ability to compress up to 25TB of tape application data into 1TB of disk space. IBM said its System Storage TS7680 ProtecTIER Deduplication Gateway for System z, a data protection platform for z/OS environments, is available immediately. Gizmodo has a new review here about Google’s search algorithm. Wired’s Steven Levy takes us inside the “algorithm that rules the web”—Google’s search algorithm, of course—and if you use Google, it’s kind of a must-read. PageRank? That’s so 1997. Rather than targeting Web and email servers, attackers these days are prone to going after enterprises from the inside out, compromising end-user systems and then using them to access confidential data, according to a Web traffic analysis report by security-as-a-service provider Zscaler. 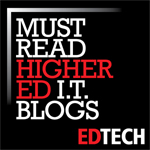 A new article on Computerworld about computers reliability and support ranking. Apple’s computers again took the top spot in an annual reliability and support ranking, Syracuse, N.Y.-based technical support franchise Rescuecom said today. Macs were the most reliable – and Apple’s support the most dependable – for the third year running, said Josh Kaplan, president of Rescuecom. 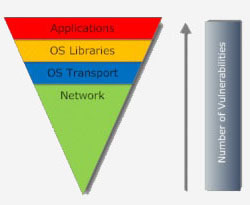 SANS has an article about the Top Security Risks and Vulnerability Exploitation Trends. This report is based on year-round research conducted by leading experts and features real-world attack data and analysis from some of the most respected organizations in the industry. Priority One: Client-side software that remains unpatched. Waves of targeted email attacks, often called spear phishing, are exploiting client-side vulnerabilities in commonly used programs such as Adobe PDF Reader, QuickTime, Adobe Flash and Microsoft Office. This is currently the primary initial infection vector used to compromise computers that have Internet access. Those same client-side vulnerabilities are exploited by attackers when users visit infected web sites. Because the visitors feel safe downloading documents from the trusted sites, they are easily fooled into opening documents and music and video that exploit client-side vulnerabilities. Some exploits do not even require the user to open documents. Simply accessing an infected website is all that is needed to compromise the client software. Priority Two: Internet-facing web sites that are vulnerable. Operating systems continue to have fewer remotely-exploitable vulnerabilities that lead to massive Internet worms. Other than Conficker/Downadup, no new major worms for OSs were seen in the wild during the reporting period. Even so, the number of attacks against buffer overflow vulnerabilities in Windows tripled from May-June to July-August and constituted over 90% of attacks seen against the Windows operating system. World-wide there has been a significant increase over the past three years in the number of people discovering zero-day vulnerabilities, as measured by multiple independent teams discovering the same vulnerabilities at different times. Some vulnerabilities have remained unpatched for as long as two years. Here is the 2010 list of the CWE/SANS most dangerous programming errors. Gizmodo has an interesting review of Windows Phone 7 here. you root for, to be anything short of impressed is stupid. call, and here’s a browser if you need that too.